Fiddler, vocalist, and songwriter Kate MacLeod is based in Salt Lake City, UT. Her highly acclaimed songs have been recorded by artists from California to the Czech Republic in roots music genres such as Bluegrass, Folk and Celtic. Her signature fiddle playing and harmony is heard on recordings that vary in style from neo-classical pianist Robin Spielberg, to songwriter Hal Cannon, to the Americana rockin' Triggers and Slips. She has worked in the recording studio with the late Charles Sawtelle and Tim O'Brien, both members of Hot Rize. Kate’s background of traditional music, spanning from the British Isles to the American West, has fueled her original music to the point where people sometimes confuse her compositions with traditional music, considered in the music business a great compliment. 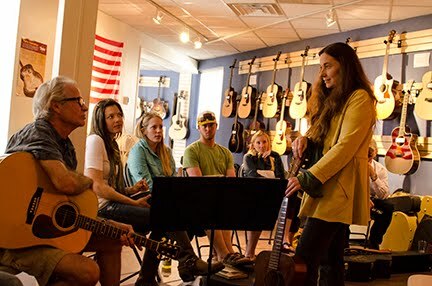 Kate's experience in leading bands, being a member of many band configurations, improvising on recording studio work and record production make her a fine catch as an instructor for this music camp. She can play with anything, all she asks is to know "when the downbeat is."